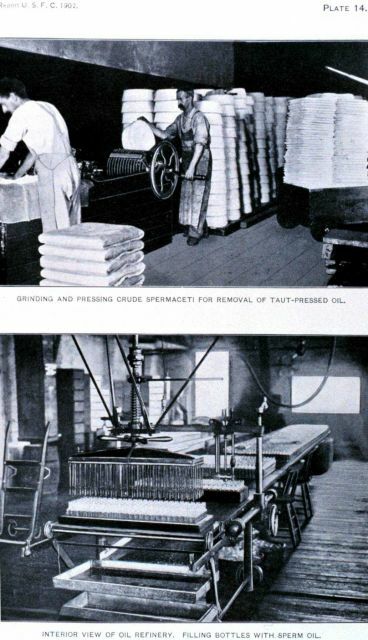 Grinding and pressing crude spermaceti for removal of taut-pressed oil. Interior view of oil refinery. Filling bottles with sperm oil. In: “Aquatic Products in Arts and Industries” by Charles H. Stevenson. Report of the Commissioner for the Year Ending June 30, 1902. P. 200, Plate 14.